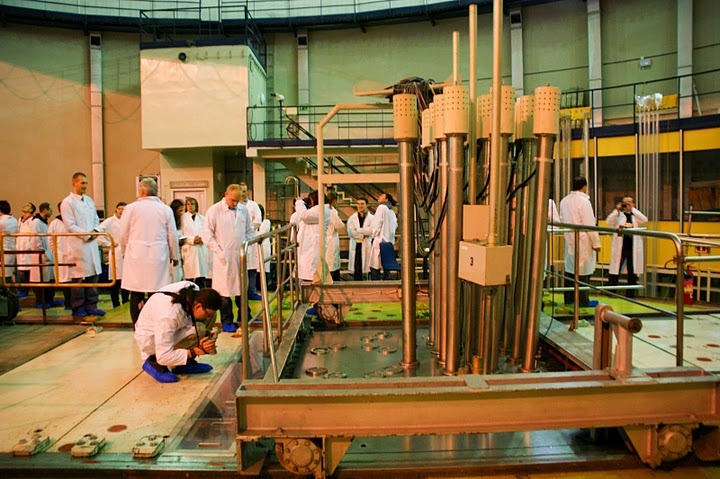 sightseeing the MARIA reactor and several NCBJ labs (Materials Testing Lab, Radiation Survey Lab) (groups up to 30 persons). As much as the time allows, we strive to serve also smaller groups. SEE PRICELIST (excluding transport; for transport services see Webpage of our NCBJ Bus Transport Division or call 22 273 1626). How to organize an excursion to NCBJ? Select the type of activity you are interested in (lecture, laboratory workshop, sightseeing). Topics of the selected lectures. Before coming call (+48) 22 273 16 12 to confirm the booking. Download the participants list form (see below), fill up/sign 2 (two) copies of it, and bring the copies to Świerk. Bring also IDs of all excursion participants. Come to Świerk and enjoy. ATTENTION: Each participant of an excursion to Świerk agrees to use in the future his/her images filmed/photographed during the excursion in NCBJ promotional materials. The Bar56 cafeteria (phone 22 27 31 110 and/or 502 102 758) operated near the NCBJ Entrance Gate and Pass Office offers tasty and healthy lunches at very attractive prices.